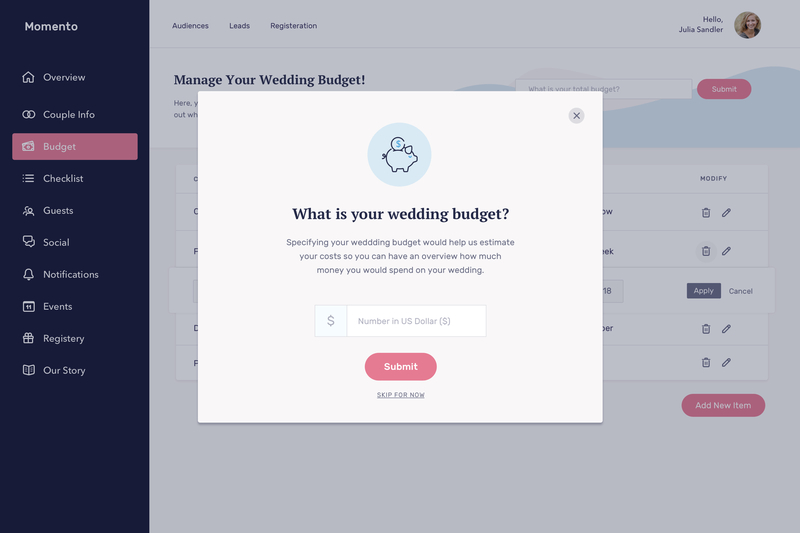 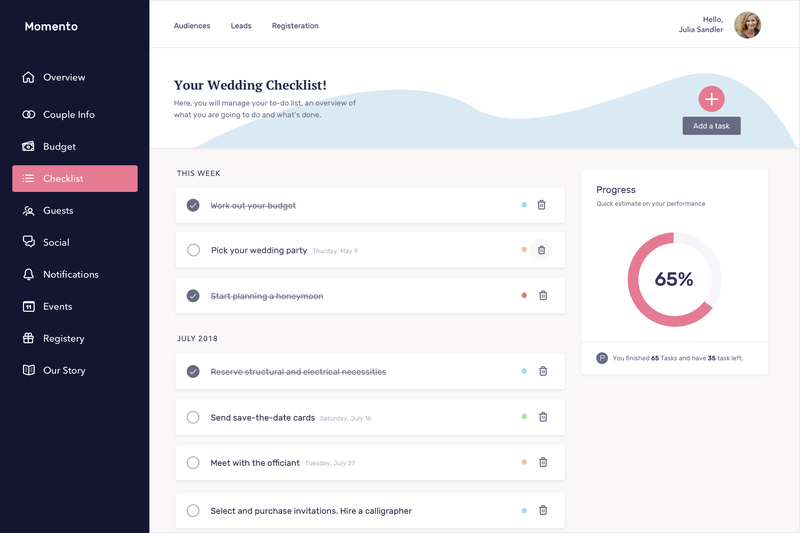 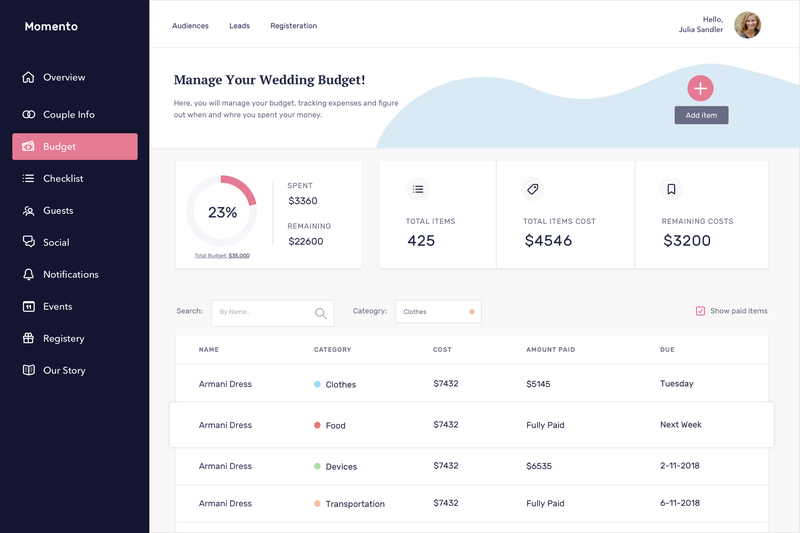 Momento is a startup focused on helping couples and wedding planners keep the entire wedding party connected during the most memorable times. 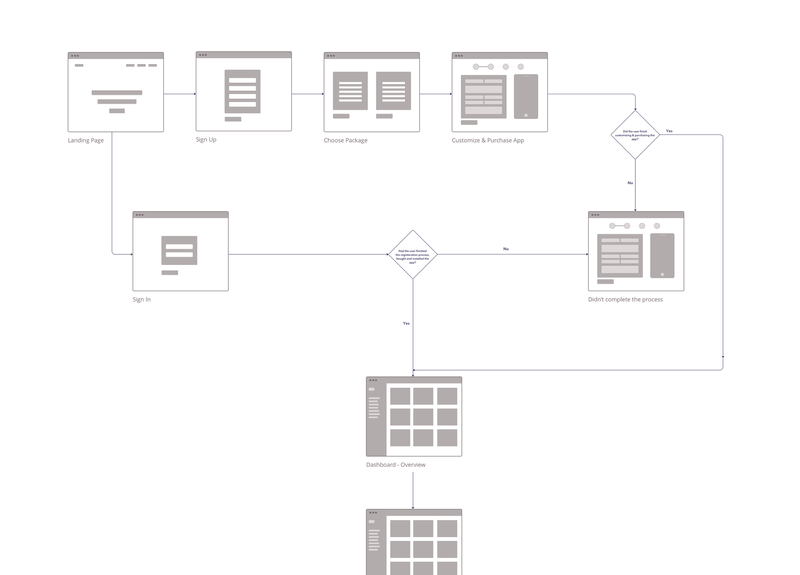 I began the project with a proper research, analyzing competitors, idenifying user goals and needs and translating all that into wireframed prototype. 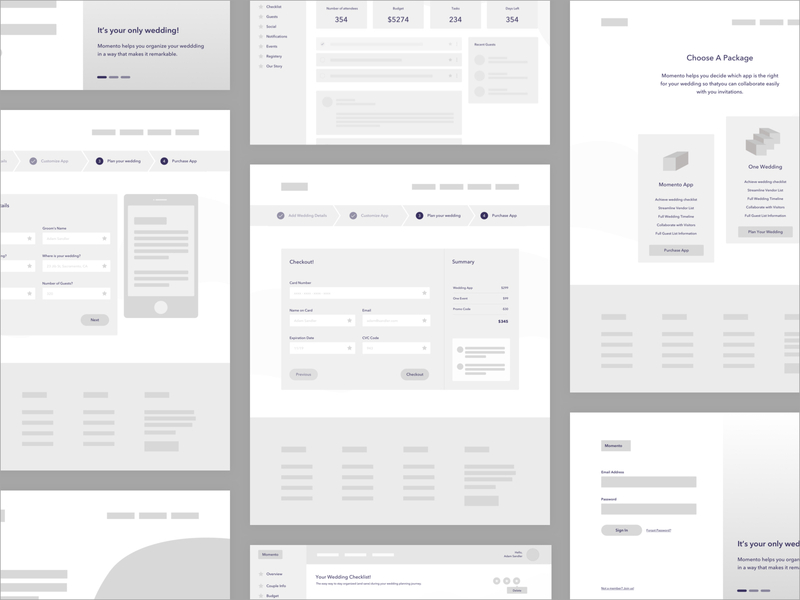 I was responsible for setting up the visual langauage and designing the dashboard pages and marketing-related pages like pricing, about and contact.